Protocols Supported: OpenVPN, L2TP/IPSec and PPTP. 3Monkey.me VPN was launched in 2013 by Cyando AG, a Switzerland based company. Although the service is quite new, the team behind it has more than 15 years of experience in network management, content delivery and IP services. 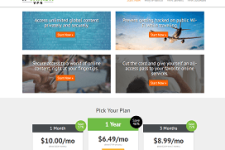 In this detailed 3Monkey.me VPN Review, we will evaluate the features of the service and decide if it is worth the subscription price. 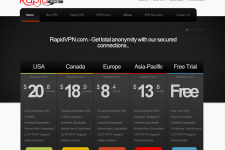 3Monkey has a network of 61 VPN servers in 17 different countries through which the company offers 7000+ IP addresses. 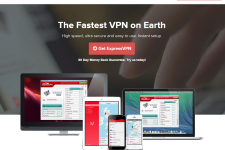 The company has VPN gateways in United States, Germany, Switzerland, United Kingdom, France, Spain, South Korea, Netherlands, Hungary, Belgium, Denmark, Australia, Japan, Singapore, Brazil, Sweden and Poland. By subscribing to the service, you would be able to unblock premium On-Demand services such as Netflix, Spotify, Zattoo, Hulu, ABC iView, Pandora, BBC iPlayer, Lovefilm, Deezer, Canal+, Eurosport, TV Japan, Amazon Prime, UK TV, ProSieben, AT5, NBC, Demand 5, TV Tokyo, Wilmaa, Voddler, iTV, DMAX, TV Asahi, USA Network, NHL, Xfinity, Sky Go, Pluzz, RTL, Sport1, TNT, 4OD, Arte, Film1, D8, Rara, CWTV, MLB, HBO Go, CBS, FOX, Vudu, Vevo, Mio TV and MTV from any country in the world. The service even helps you to bypass firewalls and censorship at schools, workplaces and censored locations (such as China, Brail, Thailand, Middle East) and unlock blocked sites like YouTube, Gmail, Twitter, Facebook and Skype from anywhere. Customers who want to access local and premium content from more than one country would be pleased to learn that 3Monkey allows unlimited server switching within its network. 3Monkey.me offers extremely fast speeds and unlimited bandwidth to all customers. The service is perfect for resource hogging activities like streaming of High Definition content, downloading of big files, VOIP and online gaming. 3Monkey.me VPN secures your privacy through OpenVPN, L2TP/IPSec and PPTP protocols. The support for multiple protocols delivers the best mix of security and compatibility. The service can be used to secure private data at Wi-Fi hotspots (malls, coffee shops, hotels, airports etc.) or to protect all types of online activities from snooping and surveillance. Regarding 3Monkey’s logging policy, the company does log certain connection details such as IP address, timestamp, bandwidth consumed and duration of connection. However, it does not share customer data with third parties unless it is compelled to do so by a court order. 3Monkey.me VPN works well with Windows, Mac, Linux (Ubuntu), Android, iPads and iPhones. The company offers a client software for all operating systems but it is also possible to configure the service manually. The company permits up to 2 connections at a time (1 OpenVPN + 1 PPTP or L2TP) so it is possible to secure multiple devices with just one subscription. 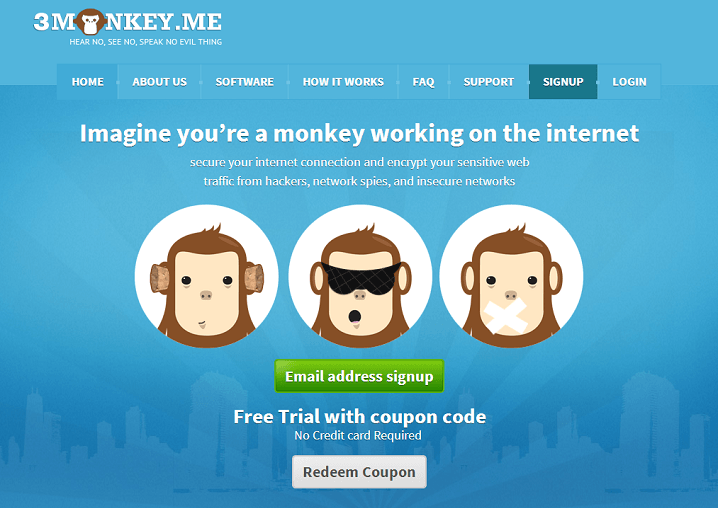 3Monkey.me offers customer support through email and phone. However, the support is not 24X7 and is available only from 8 AM – 9 PM CET on weekdays and 1 PM – 9 PM on weekends. 3Monkey’s unlimited plans are available from 9.9 Euros per month, 24.99 Euros for 3 months and 74.99 for 1 year. The company offers a 5 day free trial to all new customers but it does not have a refund policy in place. Overall, 3Monkey.me delivers a solid VPN service. The service offers a great choice of server locations plus it doesn’t compromise on speed or security. So if you are looking for a VPN service that you can trust with closed eyes, check the free trial offered by 3Monkey today. For more information, please visit: www.3Monkey.me. 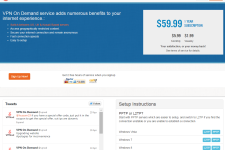 VPNOD Review – What To Expect From This Service Provider?